I promised exciting things ahead for this space of mine. And I’m a girl of my word. In addition to the rebranding going on in these parts, I am so excited to introduce you to our new DIY contributor, Laura Giuliani of Skills and Frills. Laura will be guest posting for me twice a month, and I promise you will be drooling over her creations. I was so blessed to become real life friends with this girl this past year while our girls strutted their stuff at the dance studio and we instantly clicked. I swear, bloggers have this sixth sense and flock together. Laura is a wife, momma of 3, entrepreneur, blogger, and just opened the doors on “the Design Bar” in Thousand Oaks, CA where she hosts creative workshops, parties and events. Laura is that girl you want to be friends with AND has a heart of gold. 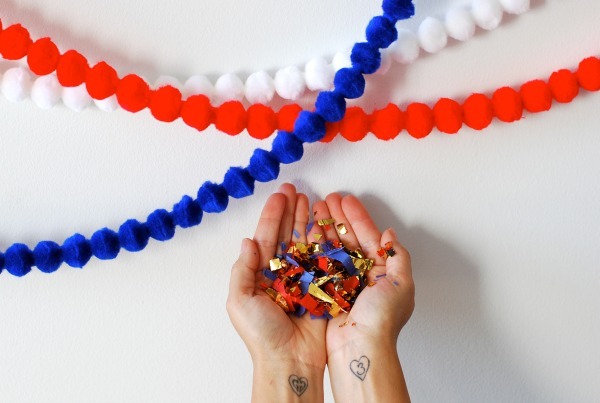 Bring a little extra fun to your BBQ this friday with 4th of July Confetti Poppers! 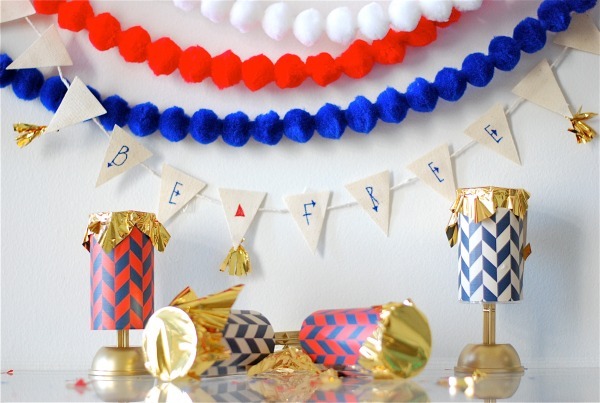 Super easy to make, super fun to look at and the most dangerous part of making and popping these is using the hot glue gun! Scissors, popper kit (I found these at Michaels Craft Store! 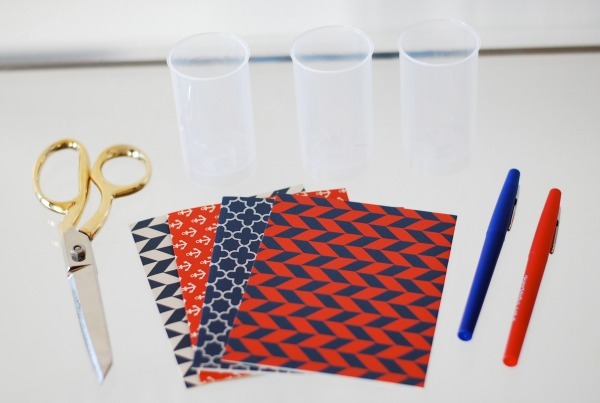 ), paper to cover the outside of the popper, a pen for tracing, tissue paper and a glue gun! That’s it! 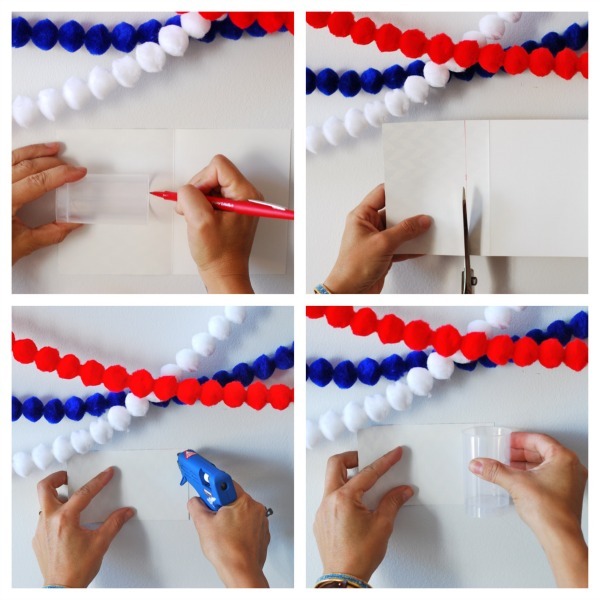 Trace your plastic popper onto paper, and cut out a strip of paper to fit! Place dabs of hot glue along the outside edge of the paper and attach the plastic popper form. 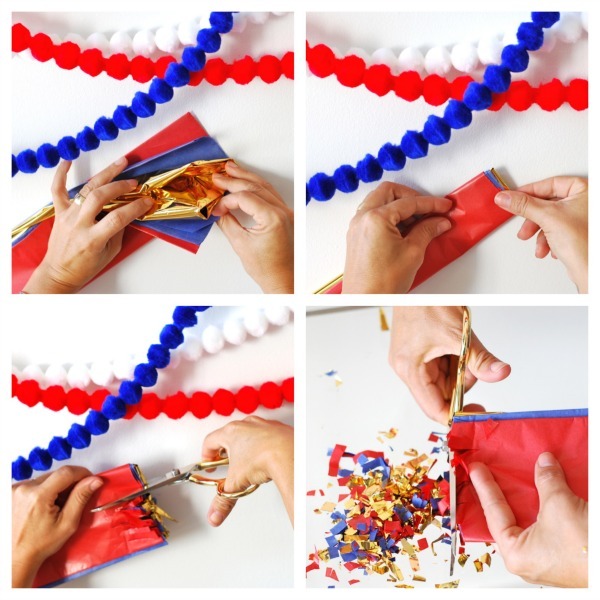 Place glue along the other side of the paper and roll your popper around! Any tissue (I threw in a little metallic gold!) and scissors! Fold all pieces of your tissue up into layers. Cut into the tissue long ways creating a fringe. Then, cut across! 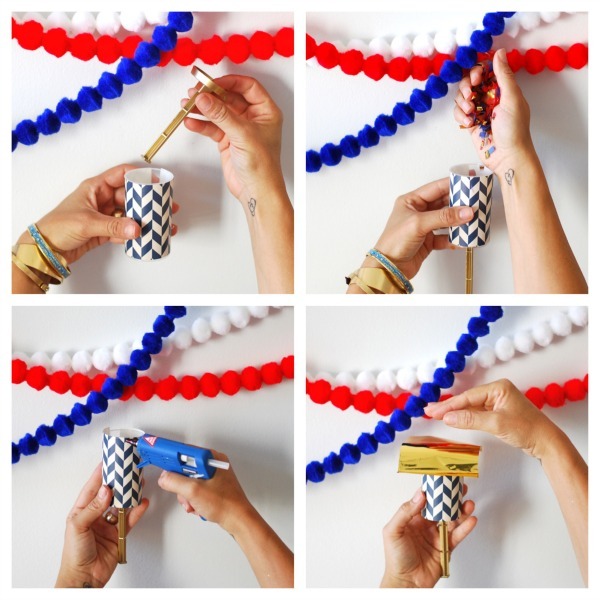 Insert your popper stick (I painted ours gold with some Rust-Oleum Metallic! 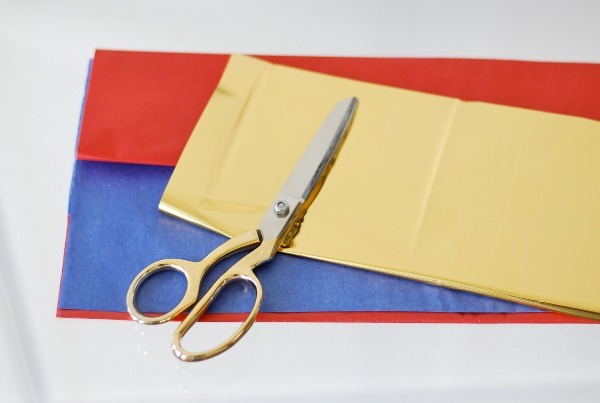 ), cut out a piece of your tissue to glue a top the topper (plain tissue is much easier to pop! ), glue around the outside edges of the popper and place the tissue over. Cup your hand around the tissue and popper to seal and you’re done! We brought these to the park after making them and kids and moms alike were dying to have them! 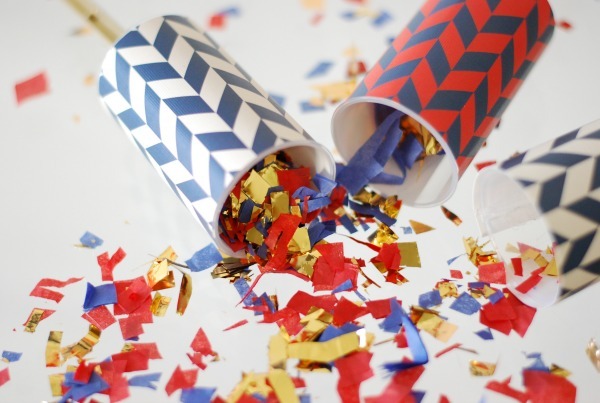 The great thing about these plastic poppers (vs making your own from TP rolls) is that you can re-use them for your next party! 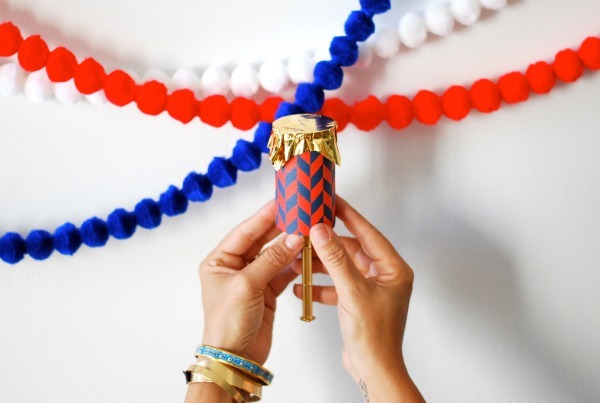 I hope you and yours enjoy these stylish and fun little party accessories this weekend! Until next time!